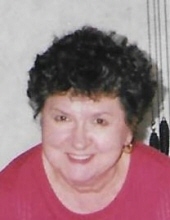 Lorraine M. Chuba, age 86, of West Homestead, passed away peacefully on April 12, 2019. Beloved wife to the late Edward A. Chuba; mother of Edward J. (Nancy) Chuba of West Homestead and Mary Jo (Scott) Wucher of Upper St. Clair; grandmother of Andrew and Raymond Chuba, and Chase Wucher; sister of Joan Gurgac. Those who knew and loved Lorraine know that she was a kind and wonderful listener, an avid Pittsburgh sports fan, especially for her Pirates. She most enjoyed spending time with her beloved grandsons. The family would like to send a special thank you to the staff at Manorcare Whitehall for the loving care and for making her a part of their family. Visitation will be held on Sunday, April 21, 6-9 PM, at the JEFFERSON MEMORIAL FUNERAL HOME, INC., 301 Curry Hollow Rd., Pleasant Hills, 15236. A Blessing Service will be held Monday, April 22, 10 AM, in the funeral home chapel. Condolences may be left at www.jeffersonmemorial.biz. To send flowers or a remembrance gift to the family of Lorraine M. Chuba, please visit our Tribute Store. Guaranteed delivery before Lorraine's visitation begins. Guaranteed delivery before Lorraine's blessing service begins. "Email Address" would like to share the life celebration of Lorraine M. Chuba. Click on the "link" to go to share a favorite memory or leave a condolence message for the family.